The Celkon Cliq is a mid-level smartphone that Celkon has come up with to compete in the tight space of smartphones under 10000 segment which is currently influenced by its competitors. Brands like Redmi, Moto, Lenovo, Infinix, and Micromax stand in the way of Celkon to become the pioneer here. The Celkon Cliq is hence unique. It's the first camera oriented phone in this price band. It features a 16MP primary camera and an 8MP secondary camera. The primary camera is aided by an LED flash unit to help users make the most of the camera specs even when the light is at its minimal. Other than that the phone features a 5.5-inch screen, 2GB RAM and adequate storage among other specifications. The Celkon Cliq price is speculated to be around INR 8300. 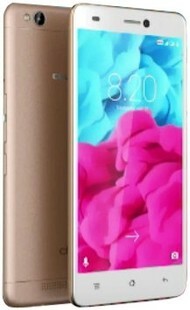 Celkon CliQ full specs and reviews as of Apr 2019. Buy it here!